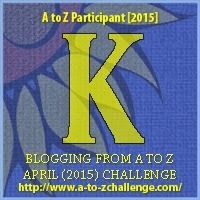 K is for Kindness #AtoZChallenge @AprilA2Z - A Rose Is A Rose Is A Rose! My infant baby cried at top of his small but powerful lungs during the flight. All my efforts to comfort him failed miserably. I could hear exaggerated sighs of other passengers. 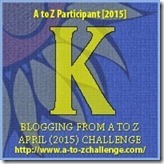 Join me in enjoying blogs from fellow A to Zers… Kaddu and Keith today! Do share some blog love with them too! That was nice of the co-passenger! Such a thoughtful gesture. It must be so difficult to travel with a baby. I was in same situation once. My 4 month old had decided to poop on the flight. The air hostesses were not ready to hold him, cant really blame them. And flight was about to land, seatbelt sign was on, my son was howling.. But they let me clean up my son though seatbelt sign was on. That was kindness. Brilliant! I loved the angst you built in so few lines, then, with kind words it dissipates. Loved it! Random acts of kindness are the best. One of the reasons why I’m so scared of having a baby. A little bit of kindness during tough times helps us make that transition to better times more gracefully. Mixed feelings! I do a lot of long haul flying and so often I’ve had sleepless journeys thanks to a crying child nearby. But wearing my other hat, I’ve taken children on board planes myself that have kept my fellow passengers awake! It’s easy to get irritated in such a confined place. Listen to me going on!! 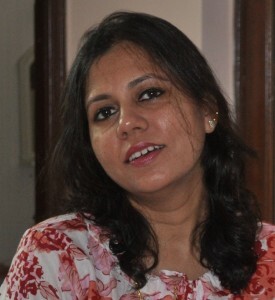 Thanks for the link Shilpa! Its such a nightmare for moms to travel with their babies. People can be very cruel, not bothering to understand! Glad that the co passenger had some kind words to say! I always feel bad for the parent. It’s so nice of the passenger to make her feel better. I’m sure it makes a huge difference when parents hear these words. I can so relate to it. Good one!! Great words to lighten the mood and sooth the ears..!! Anyone who’s a parent will appreciate the kindness of such a co-passenger! I have traveled a lot in planes. I will tell one thing. When a baby cries in the plane, the other passengers won’t mind if the mother/father tries to calm the baby. I said “tries” to calm the baby. Some parents do not even make any attempt to calm the baby and they will be doing their own business like reading or listening to music. That is when the fellow passengers get irritated. I have personally experienced this when I was on a 16hour flight to India with my 1 year old. Thank god for such kind, non judgmental souls. That is kind indeed. I could have done with a co-passenger like that one when my kids were young. My daughter would cry through the flight and my son would refuse to be still. Such a nightmare. A kind gesture, a simple word, a helping hand, would make the world a much better place! aww, sometimes a few kind words is all one needs. In such few words a great truth is depicted.beautifully.